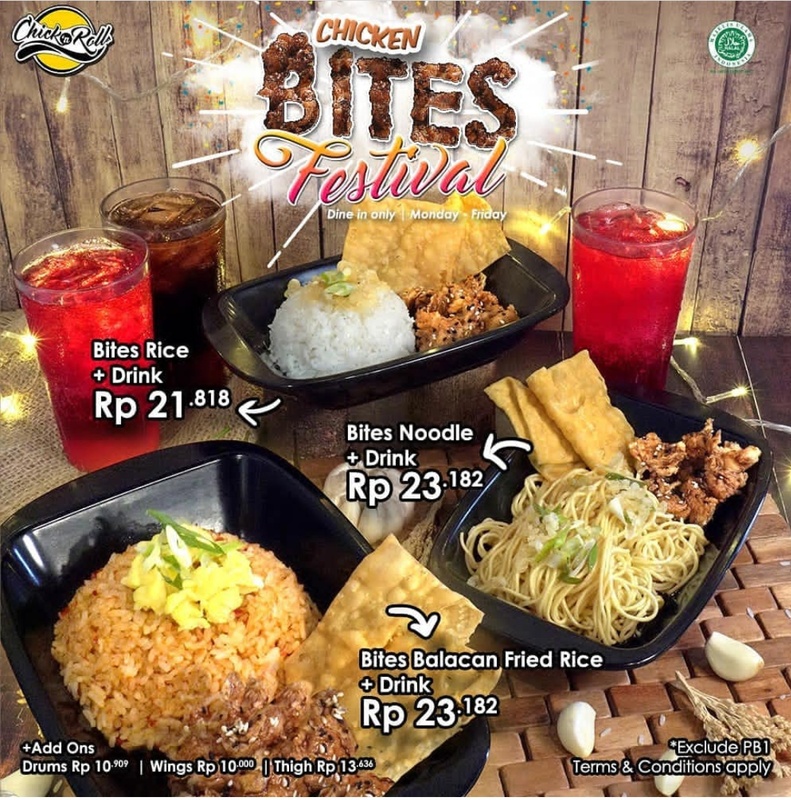 Grab the newest chicken bites combo with your favourite carbo guys! Try the white rice, noodle, and also our beloved balacan fried rice, Kooka Lovers! Experience the hype of Chicken Bites Festival only on Chick ‘n Roll Central Park, because #kenyanggakharusmahal guys!